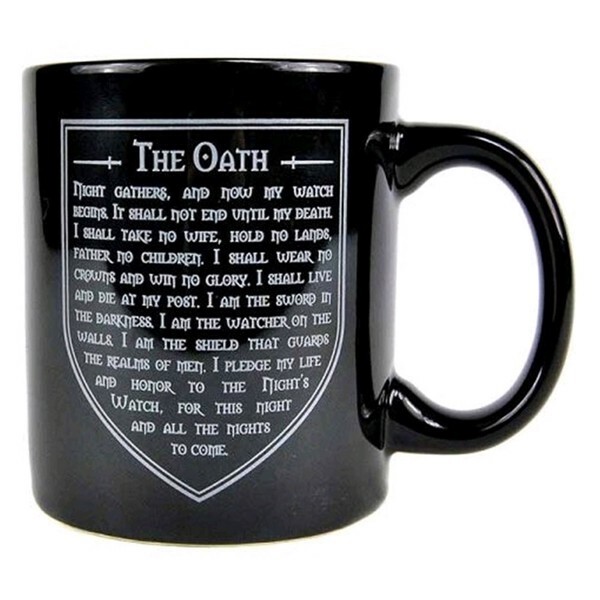 This Game of Thrones mug features the Night's Watch oath within a shield on the front and their logo on the back, all in grey detailing on a glazed black background. This is the first of Half Moon Bay's mugs to have an all over full colour glaze, meaning the inside of the mug is black too. 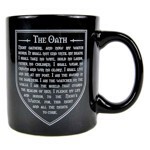 This mug comes in a printed gift box, making it a great gift for Game of Thrones fans and perfect for any Game of Thrones display.